Today we are Celebrating Candace's 30th Birthday! it to figure out her age...hehehe! Wasn't that the cutest nerd cat you have ever seen? So let's move on to some Awesome Giveaways! the blogs along the hop! But first EVERYONE'S a Winner today!!! is donating a Hello Kitty SVG File for FREE to Everyone! 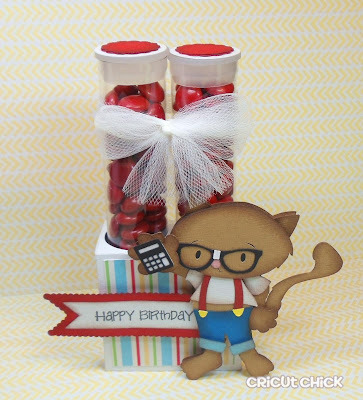 Please use "Candace's Nerdy Birthday Blog Hop"
in the subject line and add your blog follower name. This has got to be the CUTEST nerdy cat ever!! LOL.. The shading on the cat is really good. This is super cute. I love the little Urkel cat I think he is perfect. Too sweet - love your nerd and the lovely details of your project plus the colors really pop! Super cute. Love the lil calculator. This is so adorable! I love the cat's glasses! How cute are those suspenders!!! Love it!! This is just to cute!!! Steve Urkel cat?! Oh that is too cute!! I can hear him now "did I do that?" Love this project!! Super adorable projects! These are just so cute. LOL!!! I loved Steve Urkle!! This is too freakin' cute! HEHE.. I used to watch Steve Urkle! Love it! I LOVE your tube holder Julie and that adorable cat is awesome!! 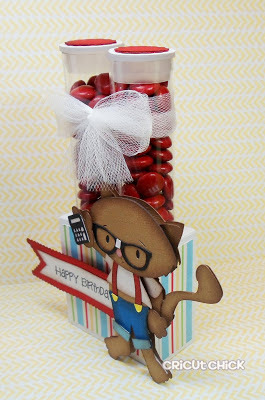 Such a fun birthday treat idea!! Thanks for sharing a GREAT project!!! OMG, you are sooooo right Julie. This cat is just to stinkin cute. I don't use SVG files. I wish There as a hand cut file Icould use. way too cute!!!! I love it! 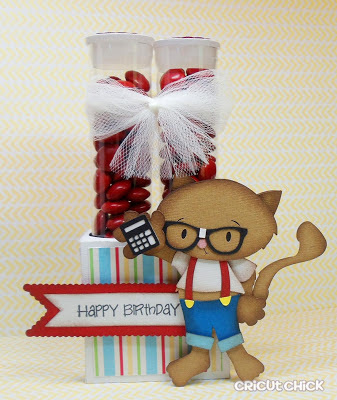 Super cute project, how could you go wrong with a nerdy cat, love it. wonderful nerdy creation! love it! i love steve but i total dig your cat and his calculator. awesome job. 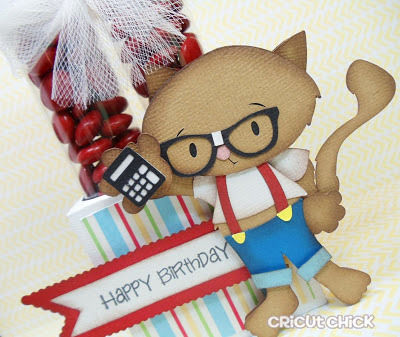 Love your Nerdy Cat! Great job.